For a fun evening event, offer your guests lilies, Confetti roses, pom poms, and orange carnations! Memorable and mood-appropriate for a festive affair! Standard center piece includes 10 stems. Deluxe center piece includes 13 stems. 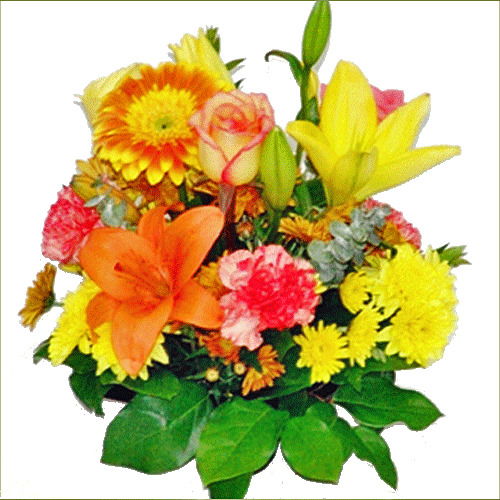 Premium center piece includes 16 stems.